A good few weeks back the Pixiwoo sisters Sam and Nic released their very first colour collection with Real Techniques in the shape of two Limited Edition Makeup Kits, obviously I had to get my hands on one immediately and I opted for the Modern Natural Makeup Kit as I knew I would get the most use of it, as the shades are right up my street and easy to wear day and night. 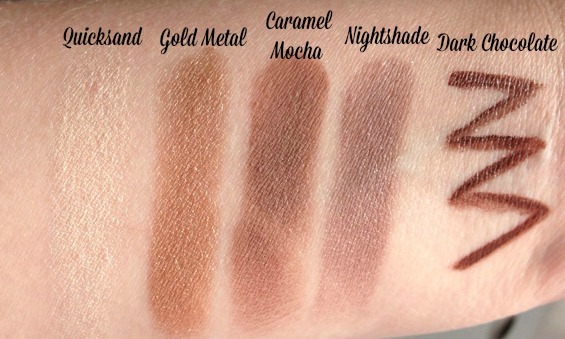 I have been using this makeup kit more or less everyday ever since I got it but mainly just for the eye shadows and the gel liner, I've been wearing Gold Metal as a wash of colour all over the lid, then I've been taking Caramel Mocha through the crease to add some definition and finally Ive been using Quicksand on my brow bone and tear duct area for a highlight, it just creates a really pretty, golden eye makeup look for the Summer, I just love it! You can check out my full review HERE if you like beaut's. 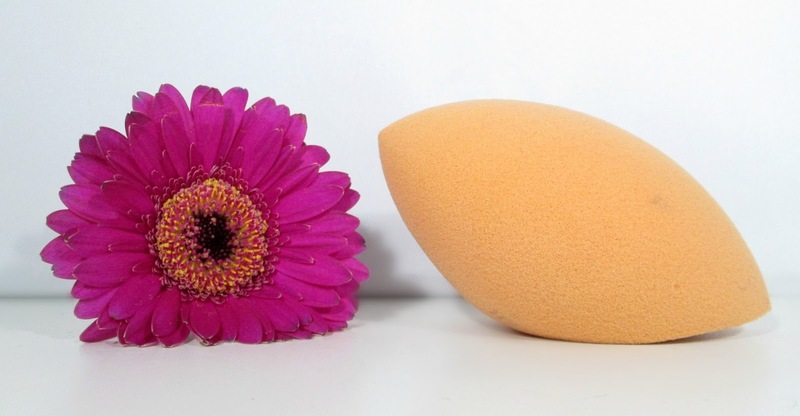 I've found myself reaching for my Multi Complexion Sponge alot recently, not to apply my foundation though as I still prefer a brush for that, but I've been using it constantly to apply my concealer and cream blush. It just blends both in so flawlessly and leaves my skin looking pixel perfect. Also I have a HUGE cleaning tip for you beauties, if you struggle to your multi complexion sponge squeaky clean just pop it in the washing machine and then leave it to dry in a warm place on top of a towel, it works an absolute treat and comes out looking brand new, obviously be careful not to put it in with washing that has alot of zips as that may snag on the sponge, I just throw mine in with my towels and voila!! 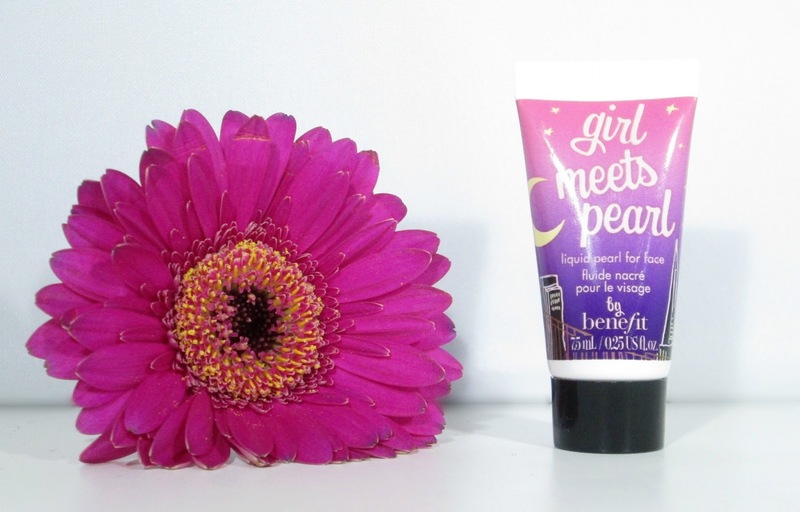 I was having a good rummage around and sort through my makeup collection recently and came across a little 7.5ml sample of Benefits Girl Meets Pearl, truth be told I have no idea how or why I have this and I cant remember where it came from but I thought I'd give it a go. Well... it's absolutely beautiful and I'm so glad I came across it. 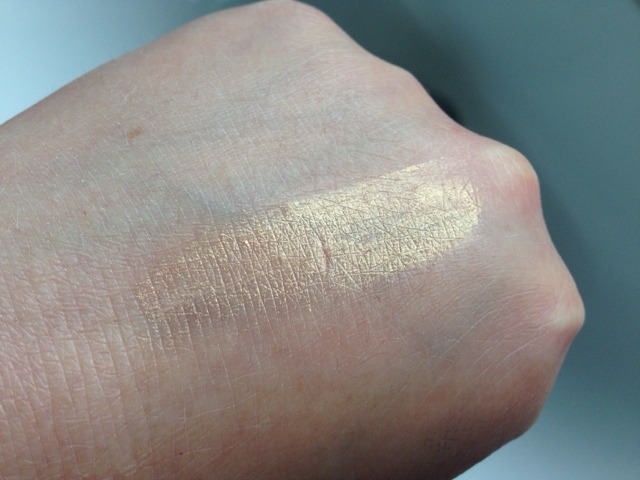 Girl Meets Pearl is a golden toned, liquid highlighter for the face and I've been obsessed with using it across my cheekbones and down the centre of my nose, it just leaves my skin looking so dewy, glowy and luminous and is so summer appropriate, I feel like some sort of golden goddess when I wear it he he. It can also be mixed with foundation or with moisturisers for the body and face for nights out too, it just adds that extra glow when used that way. I go through phases with nail polishes, last month I was obsessed with all shades of coral and this month I've been obsessed with pink, pink and more pink, and in particular Essie's Off The Shoulder! Off The Shoulder is a gorgeous carnation pink shade with a crème finish making it perfect for Spring/Summertime wear. I also adore the Essie nail polish formula, its just so glossy, long lasting and is so easy to work with . Off The Shoulder was actually from Essies Summer Collection in 2012 but I buy all of my Essie nail polishes from Fragrance Direct to save on the pennies and they often have old season's shades, and luckily for me I managed to pick up this beaut of a shade. 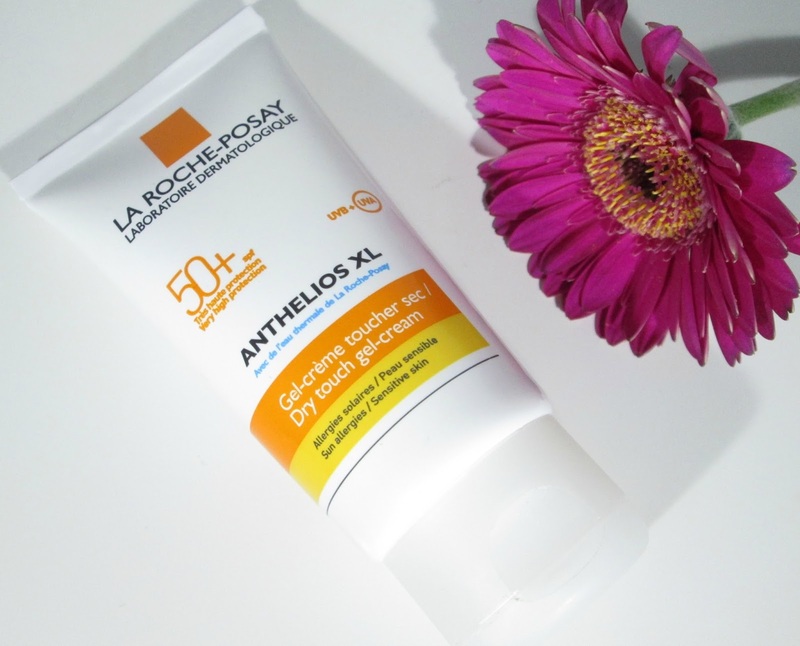 We've had some warmer days in the UK recently and a few weeks back we had a mini heatwave so I knew I needed to wear a nice suncream with good SPF so I dug out my trusty La Roche Posay Anthelios. I love this stuff when it's really hot as its gel based formula just blends into my skin quickly leaving a matte finish which I love as usually sun creams can leave you with that horrible oily, tacky feeling to the skin, its also water resistant, non perfumed and paraben free so great for sensitive skin suffers like myself. The only downside is that it's not very moisturising so I would recommend when using this on your face under your makeup just to moisturise as normal. Arhhh this is my new love.. I never really bother with my feet, the most I usually do is paint my toes and that's about it. However... As the warmer weather is on the way and I've been whipping out the odd pair of sandal's recently, I thought I really should pamper my feet a little as they where slightly dry and in a nutshell they needed some TLC. Sooo... I've been massaging some of the Heel Genius into my feet most nights just before bed and in the mornings my feet honestly feel so soft, smooth and pampered without a single bit of dry skin in sight. I do have a full review coming up on this very soon but Id highly recommend it, it's well worth trying. 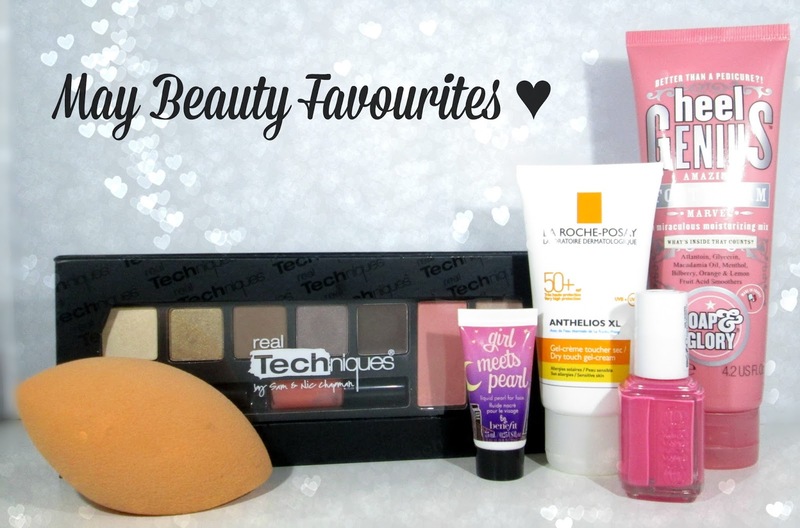 What have been your favourite beauty products to use throughout May beaut's??? I'd love to know!!! Oooh the Essie shade is one I haven't seen before, it's lovely! Ooh I love the look of the Real techniques palette and have really been wanting to try girl meets pearl, looks gorgeous! Great post lovely!